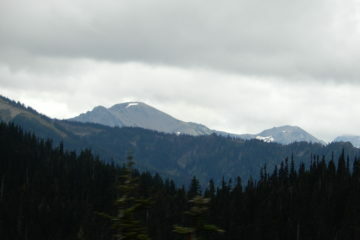 The highway in and out of Stewart threads its way between mountains featuring glaciers and waterfalls. 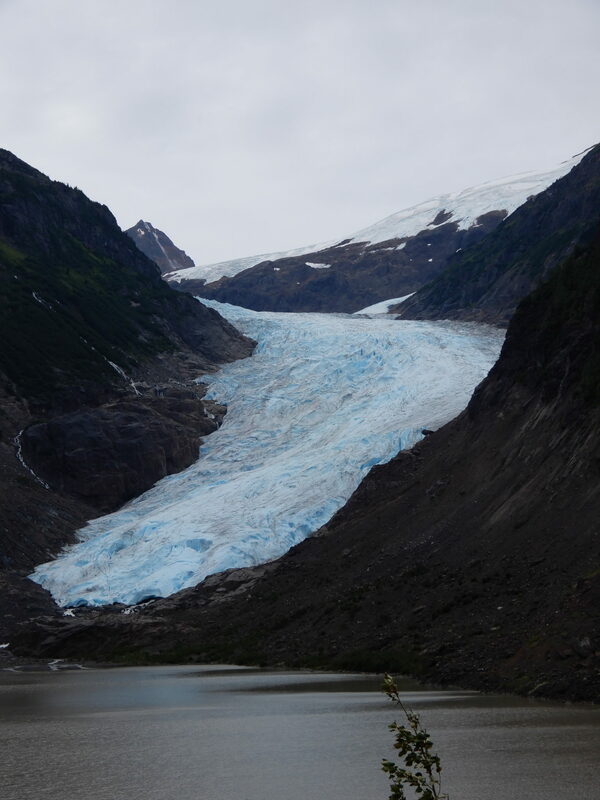 Bear Glacier, 15 miles outside of Stewart, B.C. 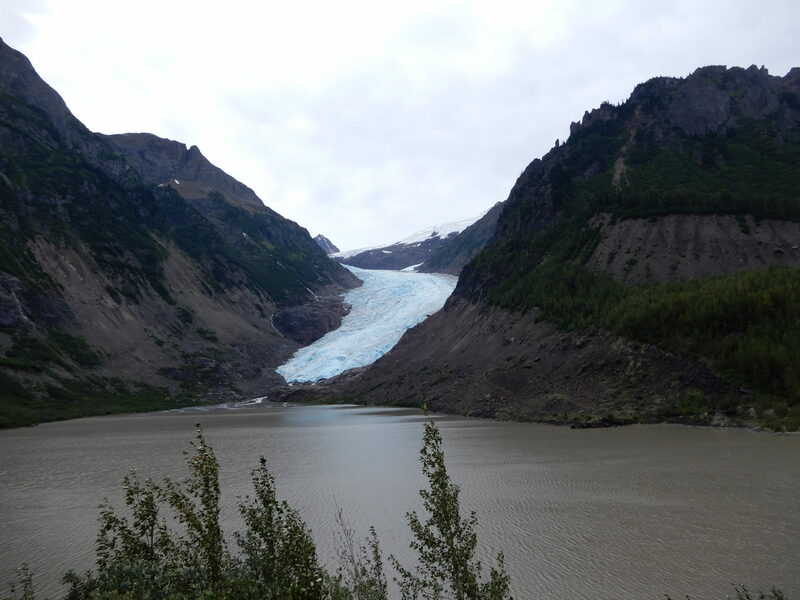 This glacier used to cross the valley floor. 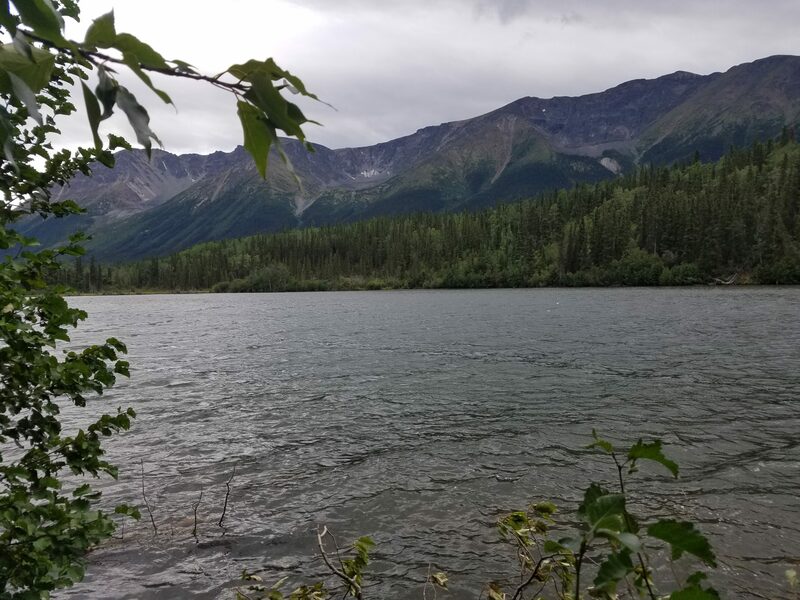 The Alaska portion of our journey was now behind us, and it was time to head south. We chose the western route, following the Cassiar Highway. Highway 37, the Cassiar Highway, is one of British Columbia’s most scenic and historic routes. 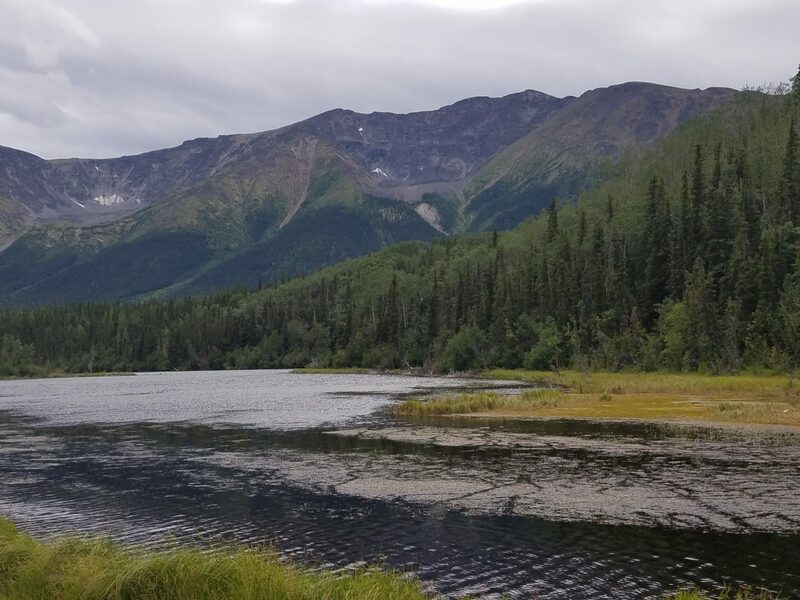 The first Europeans entering into the Cassiar Mountains were fur traders. The Hudsons Bay Company established a trading post at Dease Lake in 1833. 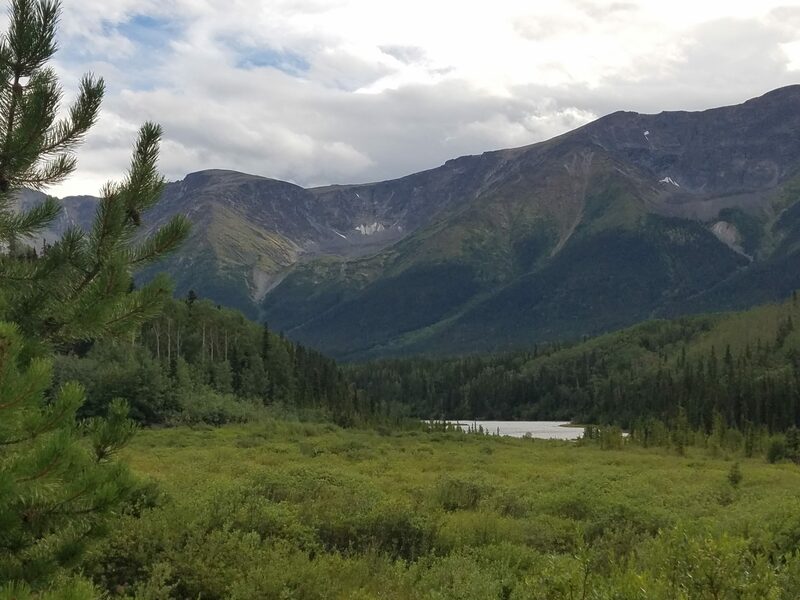 The Klondike gold rush, followed by gold rushes on the Stikine River and in the Cassiar Mountains, necessitated the movement of people and supplies through British Columbia. World War II and the discovery of asbestos deposits in the Cassiar region that had to be transported 360 miles north, transferred to the Yukon and Whitehorse Rail line for transfer to Skagway, AK before they could be shipped to Vancouver demonstrated the need for a road through northern B.C. Starting as a single lane dirt road that was not completed until 1976, the road was widened, paved and open for travel in 1984. 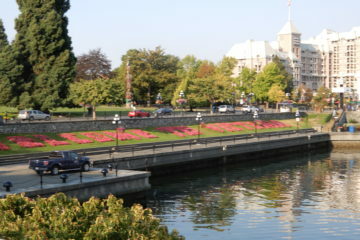 The highway covers over half the length of British Columbia. 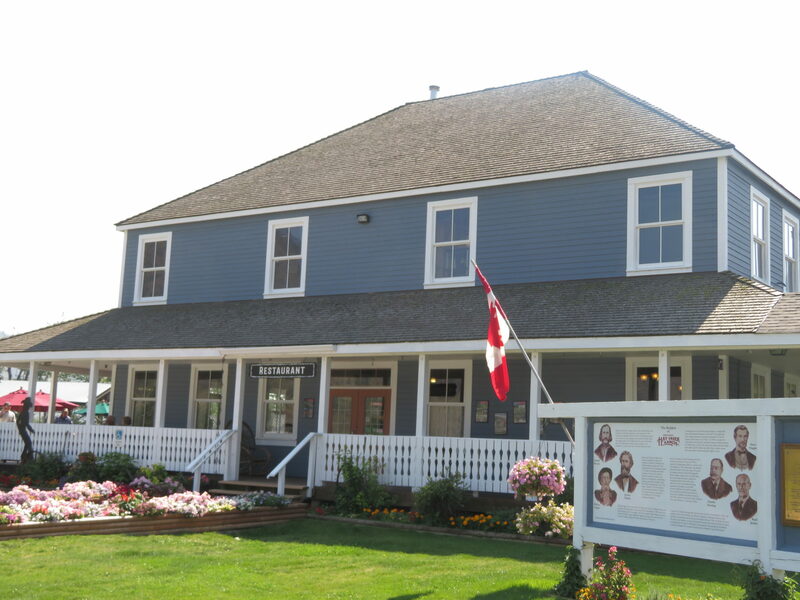 Our first stop was two nights in Ft. Telkwa, near Smithers, B.C. 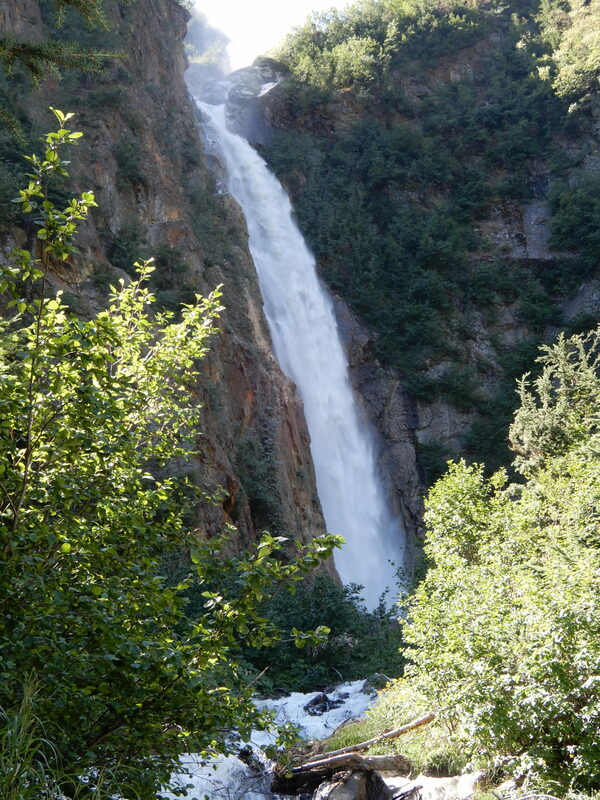 Twin Falls near Smithers, B.C. 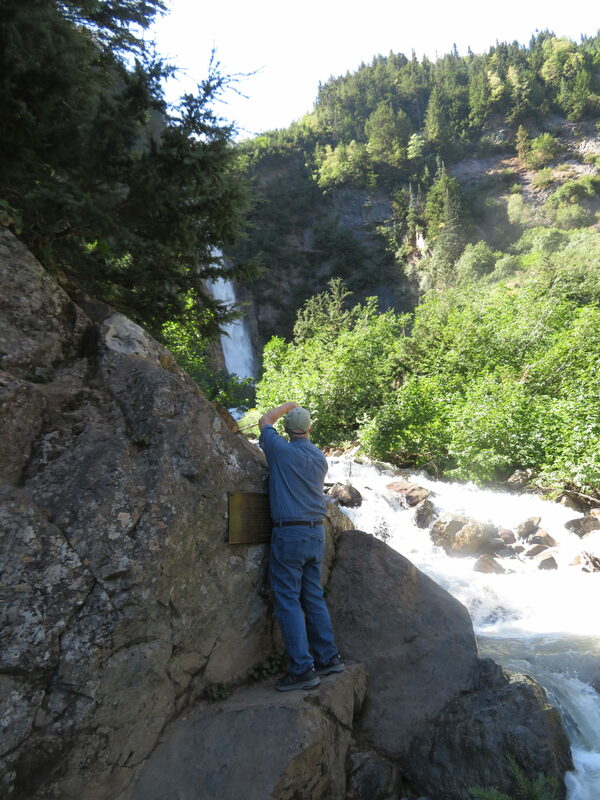 Dave had to stand here above the river to get a good picture of the falls. 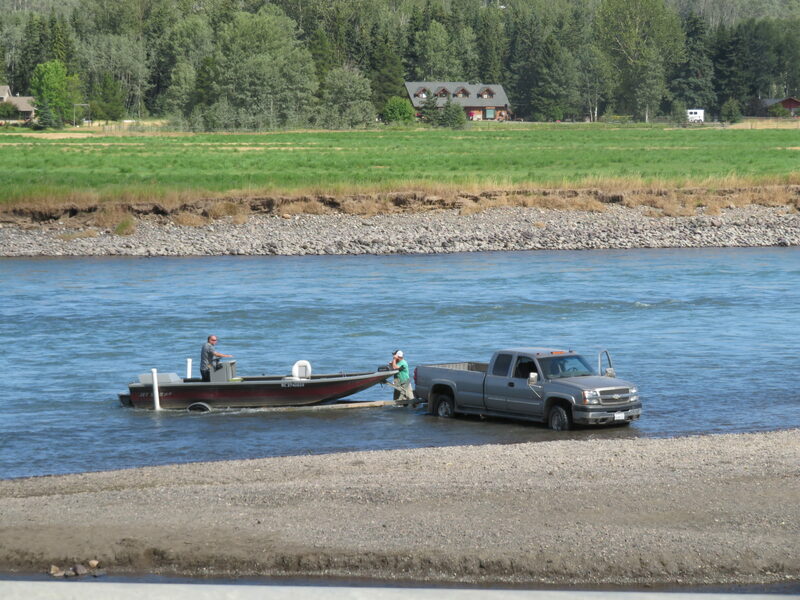 We were walking along the Bulkley River in Smithers and stopped to watch 2 fishermen get their truck stuck in the river. Fires in British Columbia near where we traveled had filled the air with enough smoke that neither of us was comfortable in Prince George where we had planned to stay. So, we continued south and were lucky to find a lovely campground for the night. 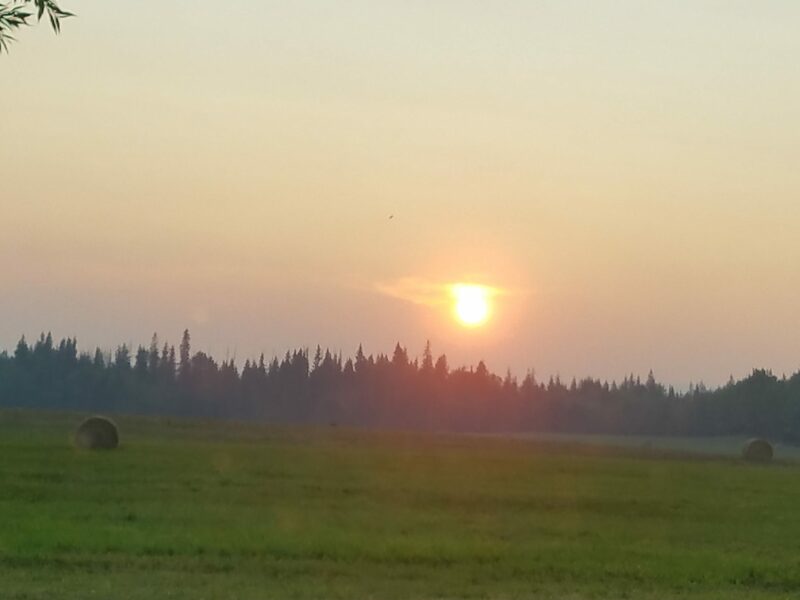 On the road to Prince George, the air was so filled with smoke from the forest fire you could barely see the sun. Small lake below our campsite in Mountain Shadow RV Park. We found a path down to the lake. 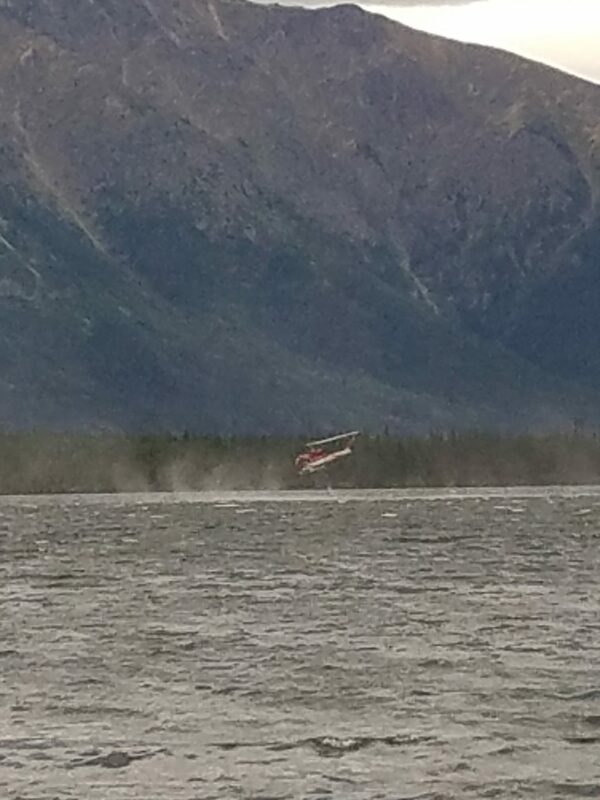 While at the lake shore we watched several helicopters come scoop up water to drop on the forest fires. 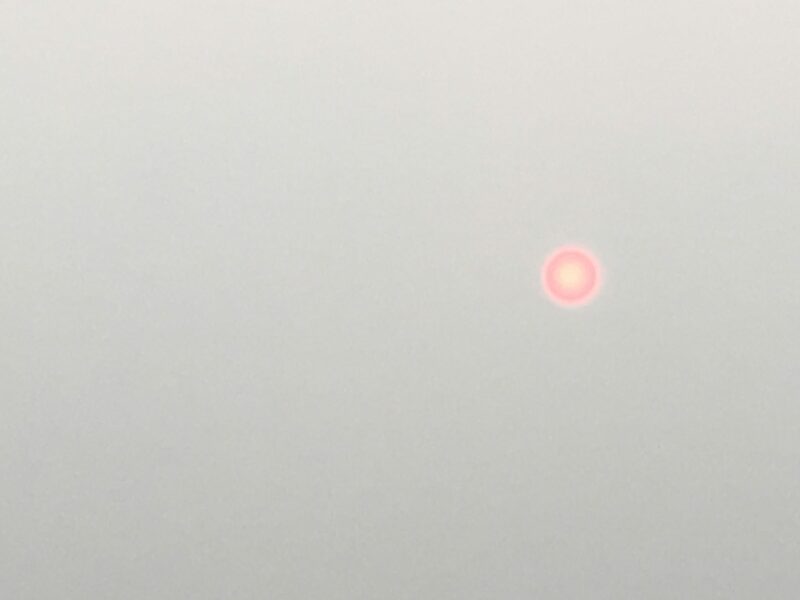 Smokey skies on the way to Cache Creek. 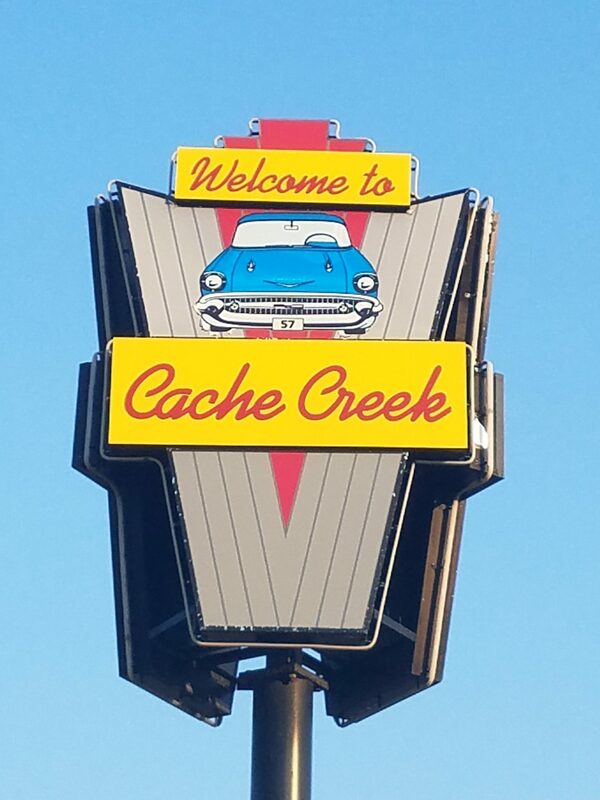 Cache Creek’s 1950’s theme seen in the town’s sign. 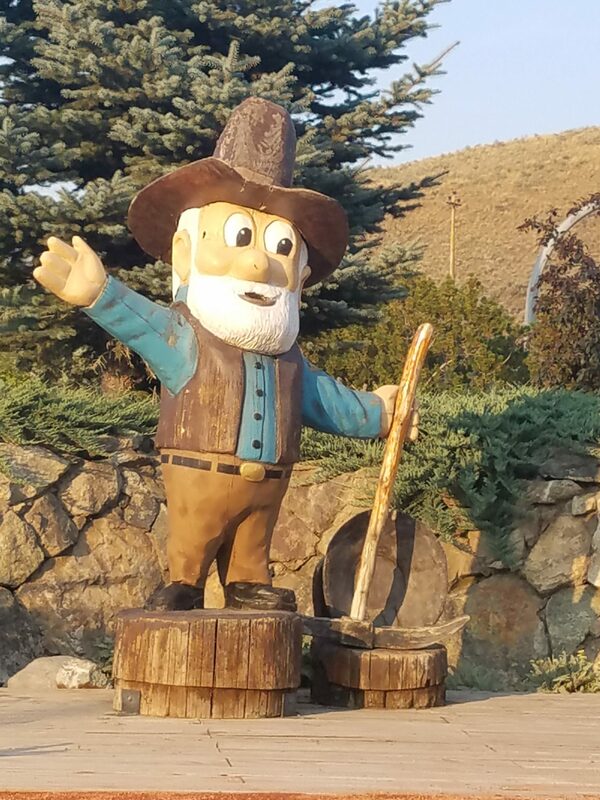 Cache Creek also had a pioneer/mining theme. 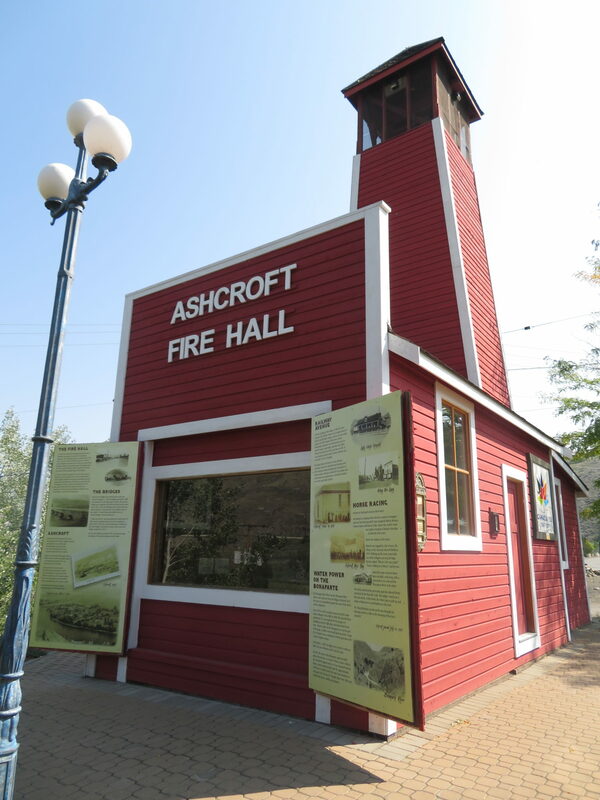 The restored Fire Hall in nearby Ashcroft. 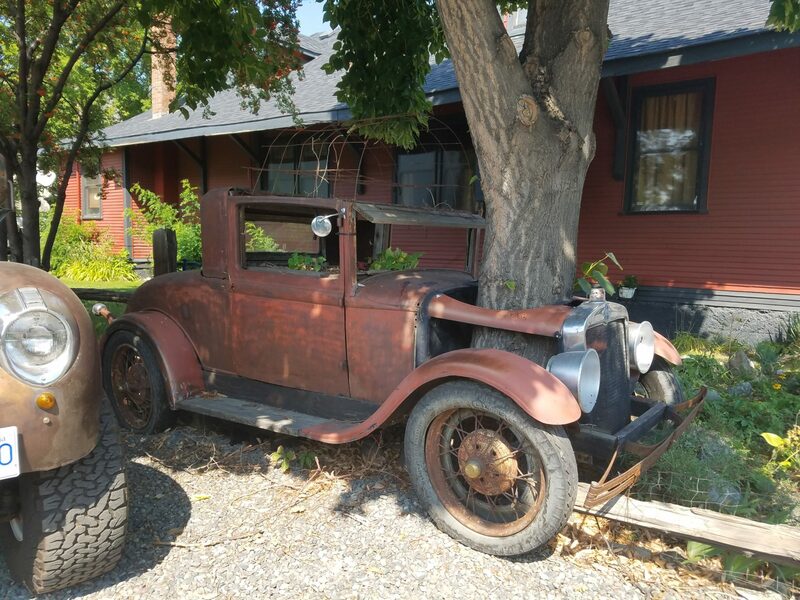 This car has been parked here for a very long time. Cache Creek, located about 6 hours north of the US border is sometimes called the Arizona of Canada. The climate is semi-arid with hot dry summers and cold dry winters. 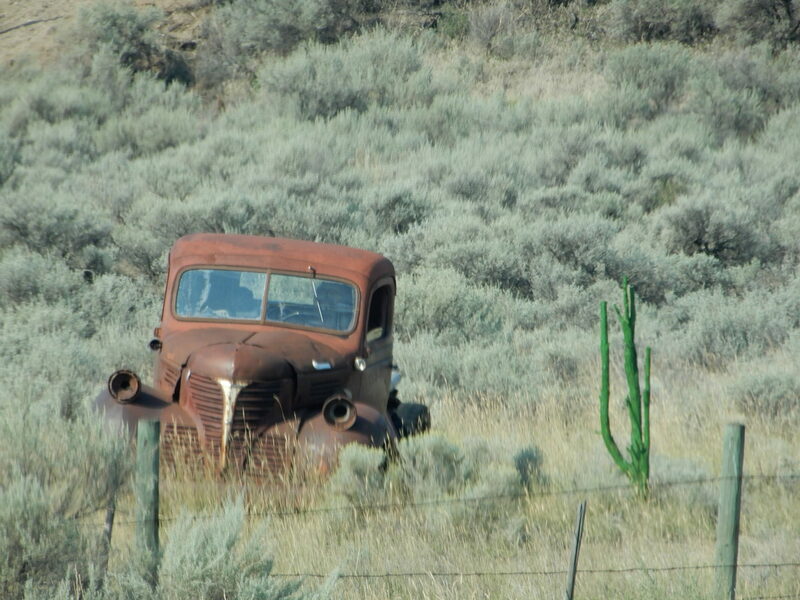 We were amazed the see sagebrush and cactus in Canada. This settlement of about 1000 people grew up around the confluence of Cache Creek and the Bonaparte River. It became a major supply point for the Cariboo Wagon Road and today agriculture, logging and tourism support the community. 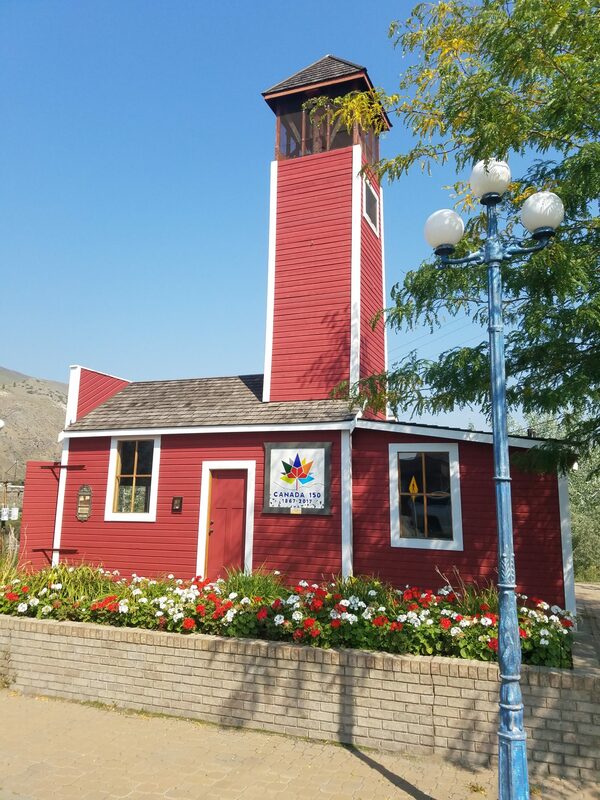 A visit to the tourism office in Cache Creek provided a wealth of information about the area and a delightful surprise for Dave: The most elaborate and detailed Geocaching adventure that he’d ever seen. The Gold Country Geotourism Adventures was a three-volume set of field guides, each 150-200 pages long inviting you to visit the sites described in the guide. A detailed write-up about the history and significance of the site was included. A cache was hidden at each site containing items for kids and a redemption sticker to record your find. Twenty-four finds was rewarded with a prize and completion of all the sites was rewarded with a puzzle coin that gave clues to a final cache for each phase of the adventure. Unfortunately, we were not in the area long enough to complete an adventure but had a good time anyway. The guides were provided free. A song Jane heard at her first Florida Folk Festival, “Four Rode By” (written by Ian Tyson and sung at the Festival by Suzanne Grooms) has its roots at nearby Hat Creek Ranch. Donald McLean, a trader for Hudsons Bay Company, established a ranch and roadhouse at the confluence of the Bonaparte River and Hat Creek. After McLean was killed while serving on a posse, his family lost the ranch. McLean’s three sons lived outside the law, terrorizing the local population. They killed an agent who attempted to arrest them for horse stealing and were hanged in 1881. The youngest son was 15, the oldest 25. 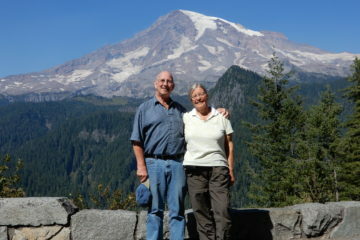 Here is a link to Ian and Sylvia’s “Four Rode By”.